On the final to last day of the 2013 ITA Mountain Regional Championships, the University of Utah men’s tennis team will be represented by two remaining players. Cedric Willems and Cameron Lee won their round of 16 main draw doubles match over Oliver Good and Sanjay Goswami (Weber State) in a heated match, 8-6, moving them into the quarterfinals. 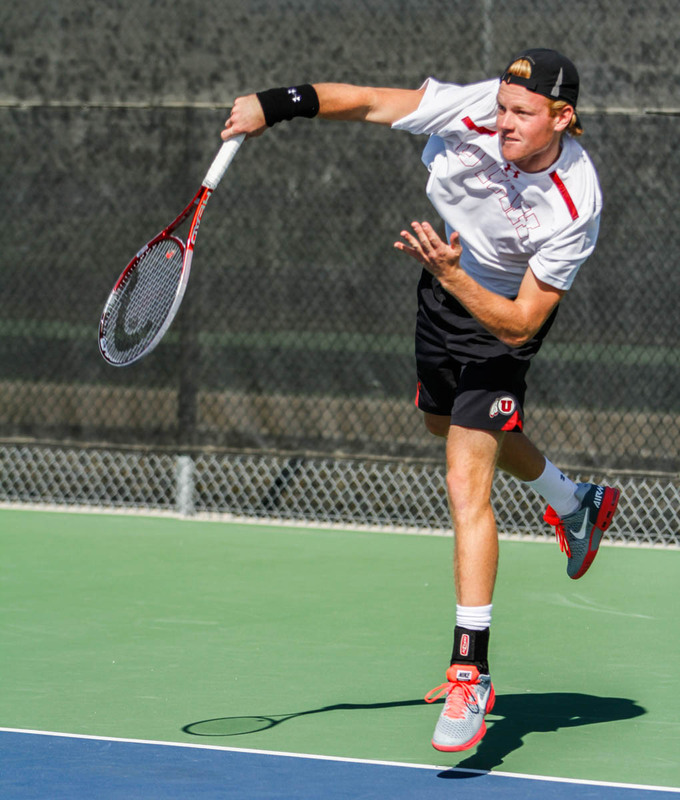 In quarterfinal action, the Utes will face Ace Matias and Denys Pume (UNLV) on Saturday. Cedric Willems remains the only singles player active in the tournament. The dutchman fought off two opponents from the University of New Mexico in the consolation singles bracket to advance to the quarterfinals. He will face Sean Levesque (Utah State) on Saturday to earn a spot in the semifinals. No. 3 seeded Slim Hamza was unable to advance in the main draw singles championships, as he lost to Henry Craig (Denver) 6-4, 6-2. In doubles action, Hamza and Devin Lane fell in the round of 16 as well, effectively ending their fall tournament season. This entry was posted in Schedule/Results and tagged Alejandro Medinilla, Cameron Lee, Cedric Willems, Devin Lane, ITA Regionals, Justin Archer, Slim Hamza. Bookmark the permalink.